Hi guys, it's me, that girl katie, For me losing my sister too early in life has been a big wake up call on what is really important to me. I have been doing a lot of thinking + soul searching over the last few years. I feel beyond lucky that I am here to see my kids grow up and help guide them. I've heard countless times from older parents "enjoy your kids because before you know it they are off to college." It took losing my sister to really comprehend that advice. I don't want to look back and have any regrets that I wished I had spent more time with them while I had the chance. And I know that I am not going to be the type of parent who is excited about being empty nested. So, I have decided to use my creative skills to prepare fun activities for us to do once a week. I am calling it, FAMILY FUNDAY! 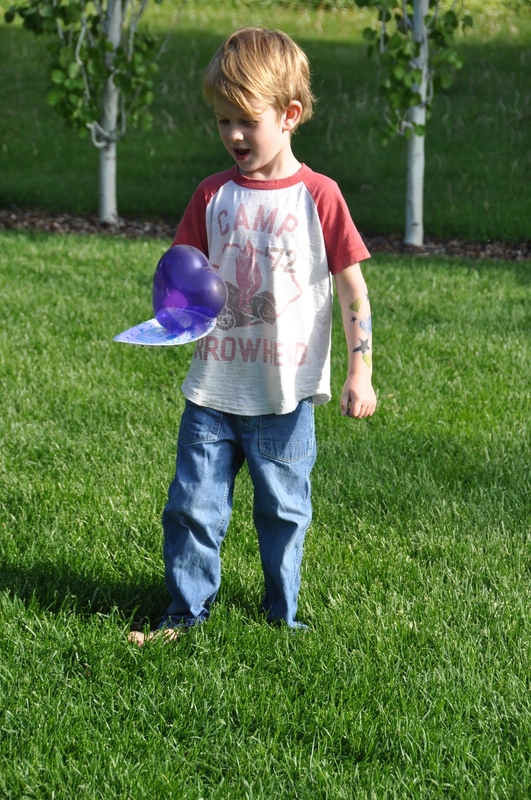 This week we kicked it off with balloon games which was perfect because I had 2 extra players. Since I was the only adult at the time I ended up explaining each individual game + trying to take pictures. 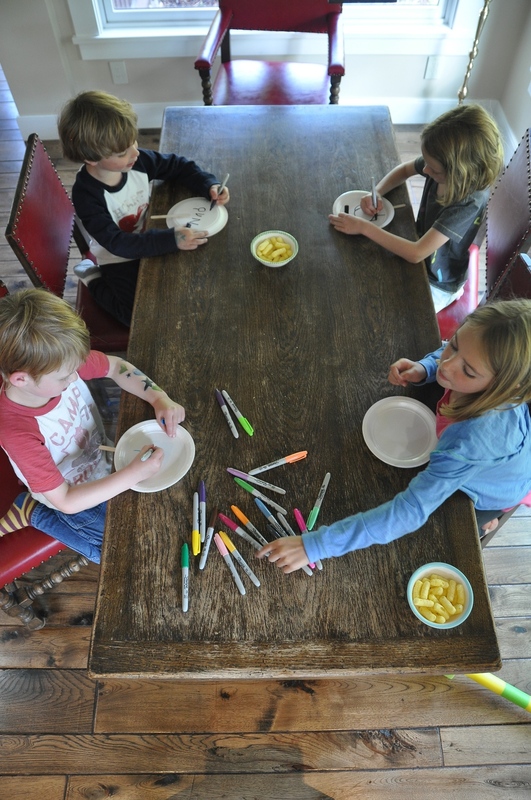 Before we started to play I had them all decorate their paddles (paper plates + popsicle sticks glued together) I have to admit this was the quietest they were the whole evening. Here are some of the games we played that I discovered from Not Consumed. 1. Balloon Keep-up: don’t let the balloon touch the floor. See how long the family can keep it in the air (hint:station big people closer to little people). 2. 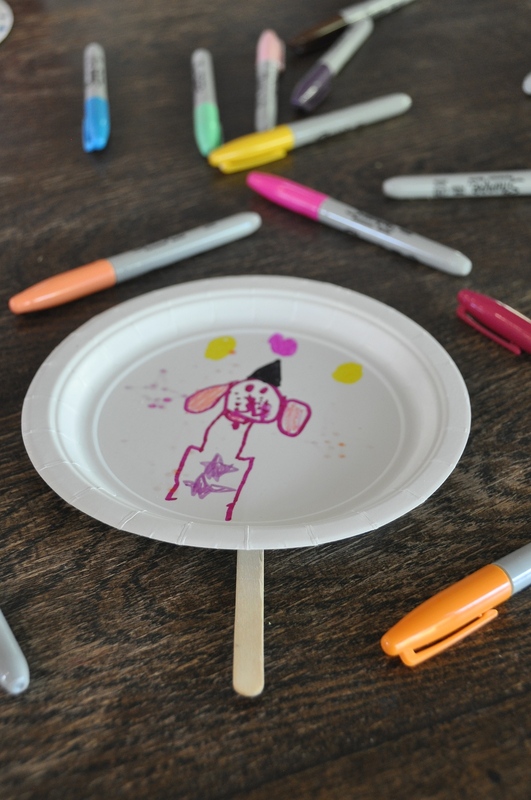 Balloon Hockey: We used the paper plate “paddles” for this game, but you can also use kitchen utensils. Players had to try and hit the balloon into their team’s “goal.” I made goals out of laundry baskets and placed them across from each other in the living room. 3. Balloon Tennis: Using the “paddles” bump the balloons back and forth to your partner. I really prefer open ended games since my kids are still little, but you could keep score, giving points to the other team when their opponent’s balloon hits the floor. 4. Balloon Hula: Two players hold up the hula hoop for others. The object of this game is to use the paddle to hit the balloon through a hula hoop. For little guys, I just let them toss it in with their hands. 5. 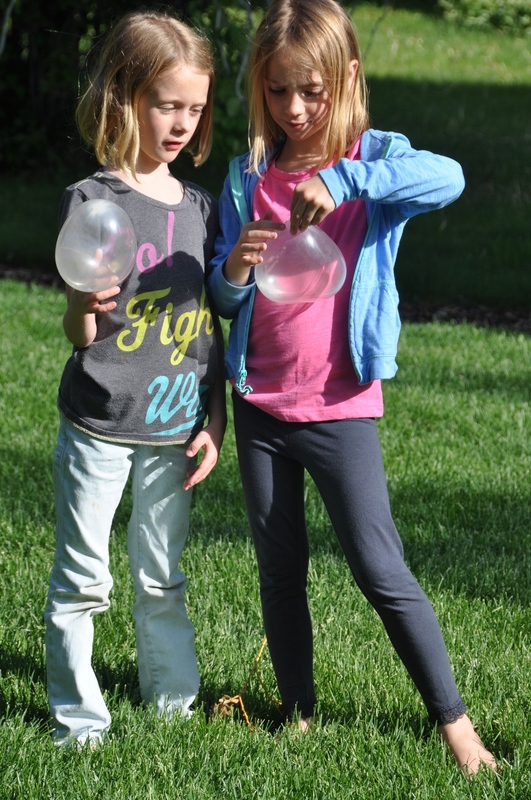 Balloon Waddle: Stand two kids side by side and place the ball between their hips. Now send them across the room, and see if they can get there without dropping the balloon. 6. Balloon Catch: give half of the players a large mixing bowl and half of the players a balloon. 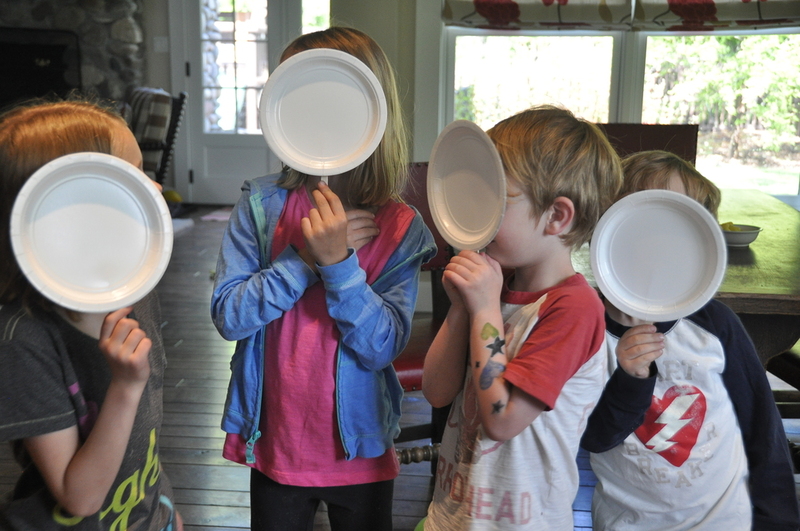 Have them toss the balloon to see if they can catch it in the bowl. You can also fold a piece of cardstock paper into a cone shape and catch the balloons in the cone. 7. Balloon Finger Balance: players have to balance their balloon on their finger. Their finger must be in contact with the balloon at all times. I have been thinking about the idea of FAMILY FUNDAY for few months. Sometimes just making something a priority is the hardest part and I am glad I have taken the step to do so. It takes a little prep + I know the more I keep with it, the easier it will become because we did run into some whining which slowly became a domino effect. Life isn't perfect but worthy of celebrating.